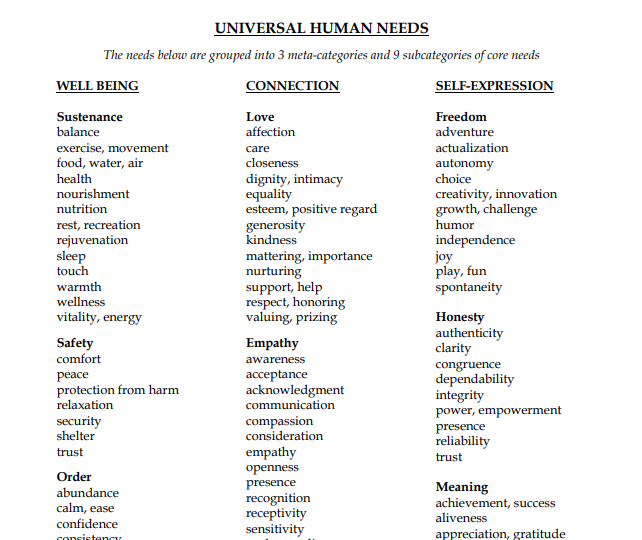 This is a non-exhaustive list of human needs that motivate all our behaviors and that stimulate emotion, whether we like those behaviors or not. When our needs are met, we experience delightful emotions; when they are unmet, we experience anger, pain, and sadness, and other tough emotions. You can print this list and use it to explore and clarify for others what you are needing and wanting.